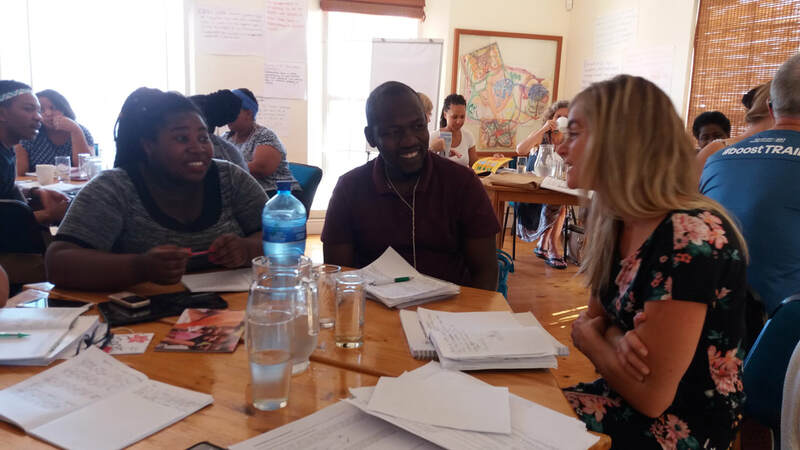 "Learning To Stay Alive To Change"
Monitoring and evaluation, when done well, can assist organisations in improving their practice and effectiveness. But often, M&E is set up to fail, unintentionally. As we become more technically sophisticated at capturing lots of data, we can easily lose sight of what really matters. The pressure to show ‘results’ ends up undermining our ability to take a step back and look at our work with a fresh perspective, asking new and better questions. Does our PM&E framework represent what we are really trying to achieve? Are we bringing learning into practice adequately? Are our partners learning and growing with us? Or are we just ‘ticking the boxes’ with a growing sense of unease, losing track of the deeper questions? If you find yourself asking these and similar questions, than this course is for you. This course will assist you in getting the basics right, so that you can comply with the demand for quantitative data, whilst at the same time providing you with a more developmental way of doing PM&E that is focused on continuous reflection and learning in order to improve future practice and achieve more sustainable impact. By attending this course, you will gain greater clarity on what learning-oriented PMEL may look like for your organisation and how this could be implemented. Increased ability to strengthen a learning culture in teams and organisations. The course is intentionally created as a space where participants are challenged and encouraged to reflect deeply on their personal and organisational PMEL practice and how this can be improved. The course starts with exploring the value of PMEL as an organisational learning process. We will (re)introduce basic M&E terminology: output, outcomes and impact as well as work on developing indicators. Participants will gain experience in developing a Theory of Change and understand the difference between a Logframe and a Theory of Change. The work on Theory of Change is done based on case studies grounded in participants’ organisational realities. Data capturing and analysis, organisational learning and evaluation are other topics that will be addressed combining theory and practice. In addition, skills such as asking good questions, listening, observation and reflective thinking will be practiced by using the Action-Learning cycle. Participants will leave with increased personal knowledge and skills and a clearer picture of the next step(s) towards improving PM&E processes that will encourage learning within their own organisations. This course is participatory, so small group work and peer-learning is an integral part of the process. Good space to reflect on participants’ own organisational PMEL practice is provided, as well as opportunities to share “real world” challenges and possible ways forward between peers. In order to increase the benefit of the course, organisations are encouraged to register more than one employee, ideally including someone with decision-making power within the organisation (e.g. director, programme manager or M&E coordinator), so that lessons learned can be more easily implemented "back home". In order to prepare well for the course, we send participants reading material that they can study in advance. The course fee also includes 1 hard copy of a course reader. The course in Cape Town is normally run at the CDRA (52-54 Francis Street, Woodstock, Cape Town). The courses in Jo'burg and Durban will take place at venues that also offer affordable accommodation for those who need it. We will confirm the venues asap.